For the first time in a while, I have that morning after 'wrestling buzz' still going. 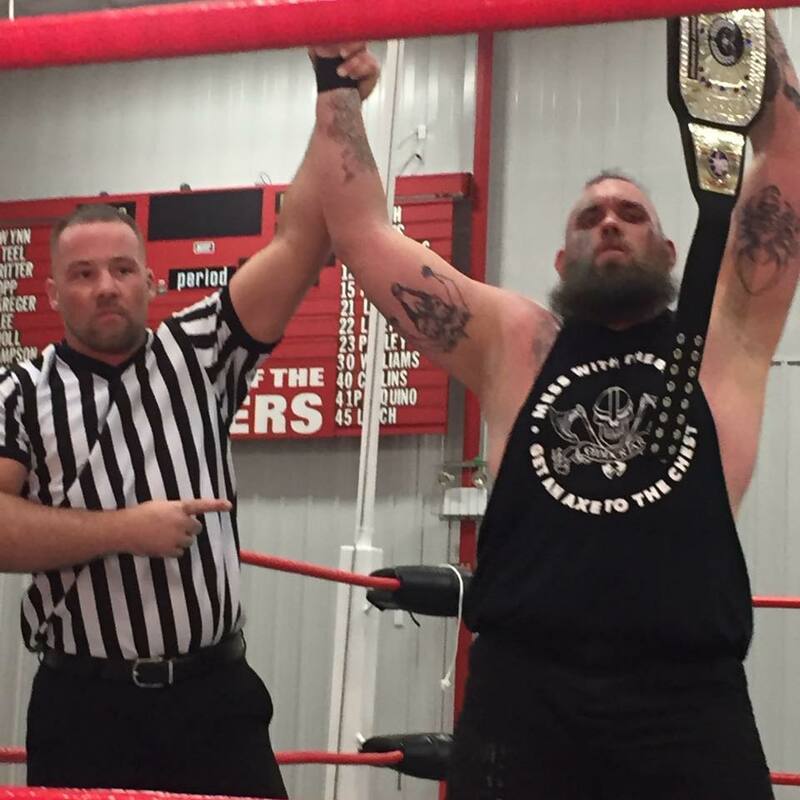 It's a result of a great show put on by Stride Pro Wrestling. 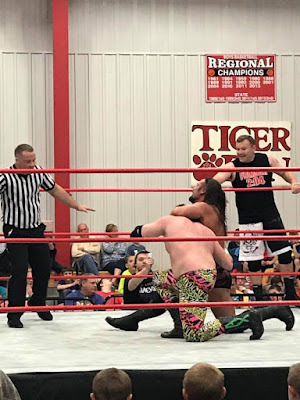 Yes, I am biased because I am part of the event, but Saturday night's show in Pinckneyville was off the charts. The crowd was very supportive as the company put on a benefit show for tornado victims here in southern Illinois. As the headline suggests, a new champion was crowned. 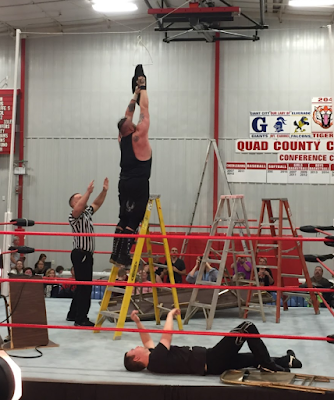 'Big' Roger Matheus climbed the ladder in a TLC match against Heath Hatton and grabbed the gold. 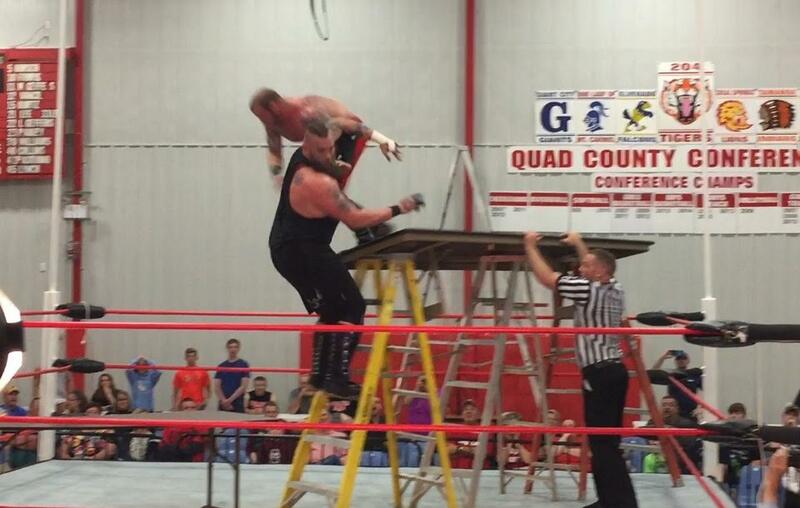 The action in this match was hard hitting as both men brutalized one another with tables, ladders and chairs. Many have pegged Hatton as a pretty boy wrestler who doesn't take a lot of risks. But it's safe to say Saturday night fans say a more aggressive and risk-taking side of the now former champ. 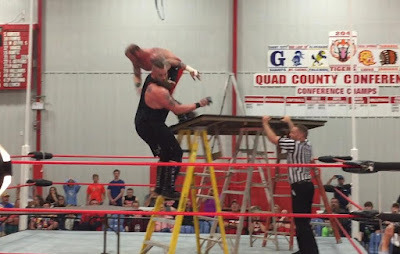 During the match, Matheus stacked a table on top of three chairs. But before he could do anything sinister with it, Hatton used the makeshift scaffold to propel himself at his challenger and spear Matheus through another table on the mat. The momentum took Hatton to the floor of the school gym and as both men tried to recover Red Daniels stormed ringside and assaulted Hatton for several minutes. That prompted Jay Spade, who had pinned Daniels earlier in the night to take action and save his buddy. Although his intentions were well meant, Spade may have actually cost Hatton the title after super kicking him. Hatton crash landed through another table that was ringside, allowing Matheus to go for the gold and win. Fans were shocked by the turn of events and booed as Matheus staggered back through the curtain. Hatton had to be assisted too, but I'm told he is going to be okay. Both men displayed amazing athleticism and showmanship as they put their bodies on the line for the entertainment of those on hand. Impact Wrestling's James Storm and 'The Stone Cold Plumster' Josh Plumlee beat the Stride Pro Wrestling tag team champions Maximum Overdrive (Ax Allwardt & Scott Phoenix) in a non-title match. Manager J. Wellington Beauregard is going to have to give his men a pep talk because coming up June 3 they'll face 'Farmer' Billy Hills and a partner of his choosing. Hills beat Chris Hargas for that right. 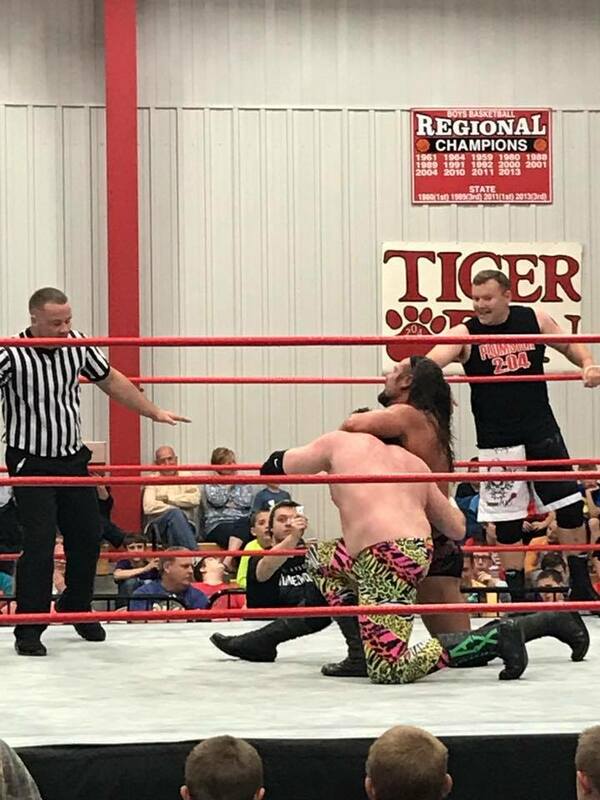 JD Wilk beat Dexter Roswell in the opener, after which bodyguard Brian Richard attacked Wilk only to find himself facing the returning Curly. The jokester beat Richard after an impressive and well-placed elbow drop off the top rope. Educators Jerry 'T-Dog' Travelstead & Katy 'The Shaniac' Shaneyfelt beat Tony & Alexxa Flood. By the way, it was Katy's debut and she pinned the Legacy champ Tony Flood for the win. It was a great show for a great cause. Thanks to all who came out and supported it. And look for James Storm on the My 1-2-3 Cents podcast which will drop Monday morning.